Wagons at Naibabad on the Hairatan to Mazar-i-Sharif railway. There is what looks like a TEM2 diesel locomotive in the background. Despite the date in the caption, the metadata says the picture was taken on 19 December 2013, by Jawad Jalali (presumably this Afghan photographer). That looks rather like a passenger station, despite the Uzbekistan to Mazar-i-Sharif railway being freight only. 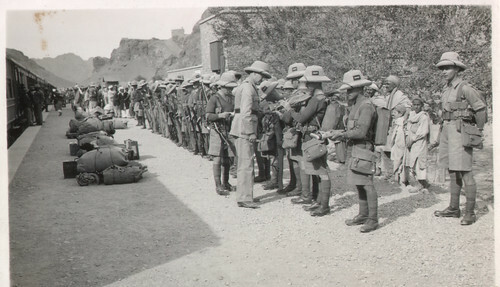 The UK’s National Army Museum has this rather good photo of The opening of the Khyber railway, 1925. Photograph by Randolph Bezzant Holmes (1888-1973), India, North West Frontier, 1925. NAM Image Number 118645. 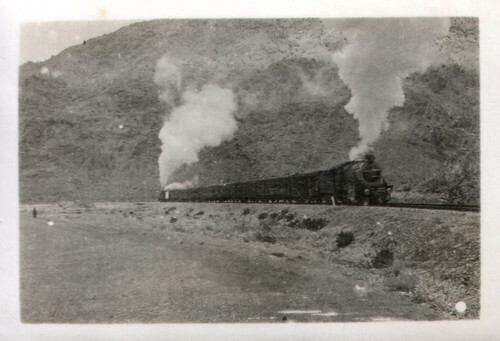 The Khyber Pass Railway from Jamrud, near Peshawar, to the Afghan border near Landi Kotal was opened on 4 November 1925. 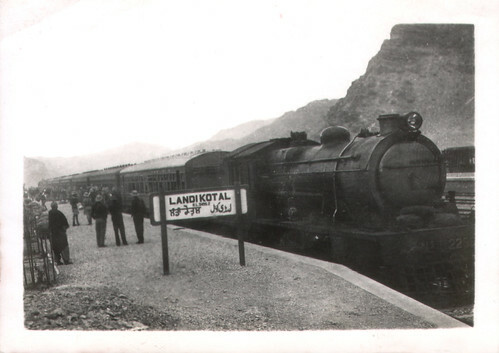 Built to allow easier movement of troops to the frontier, the railway climbed more than 1,200 metres (3,900 feet) through 34 tunnels and 92 bridges, and culverts to reach Landi Kotal. Photo taken by William Henry Jackson and published in Harper’s Weekly, 1895, now available on the Library of Congress website. Railway station at Chaman, near Kojak Tunnel. Gulistan Station on the Great Military Railway. Although labelled as “Gulistan Station on the Great Military Railway, at entrance to Kojak Tunnel”, this is actually Shela Bagh station. 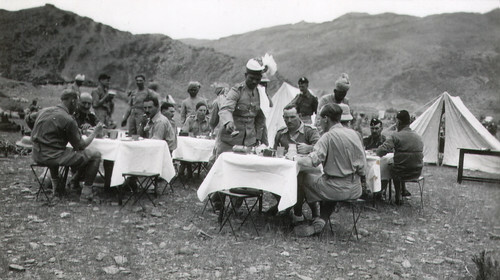 John Saunders has uploaded to Flickr the contents of an album of 1930s and 1940s photos which belonged to his uncle Bill Saunders (1916-69), who was an aircraftsman in the Royal Air Force and spent some years in India. On Flickr is a wonderful collection of photographs of Landi Kotal and the Khyber Pass in 1937, taken (or collected?) by Albert Chalcroft of The King’s Regiment.